I never would have pickup this type of book if not for Kindle Unlimited recommendation. A story about a serial killer’s wife and kids seems a bit crazy and twisted for my taste. This month I decided to download the book and the audiobook and simply read it. To my surprised I really enjoyed the book and I am looking forward to the next one in the series. What this book is about? I can totally related to what Gwen must be feeling, not the part where she married a serial killer but on the part that she married a husband who is pretending to be somebody else. The sense of betrayal and insecurity is totally familiar to me. 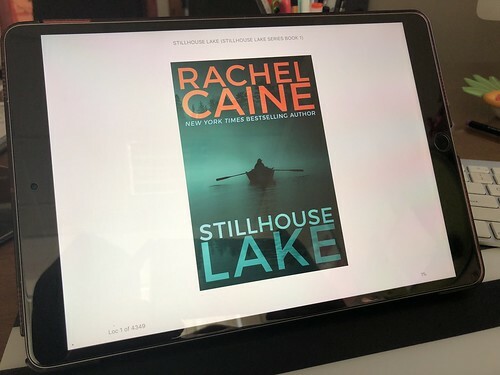 I really like Rachel Caine writing style. I can follow the character’s storyline and she made me feel scared for Gwen and her kids. I highly recommend this book to anyone who enjoyed thriller and mystery. Totally worth my time.